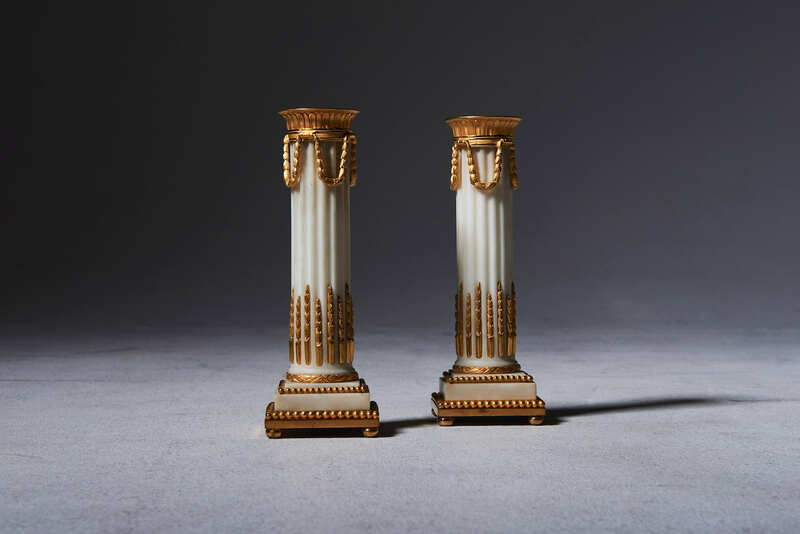 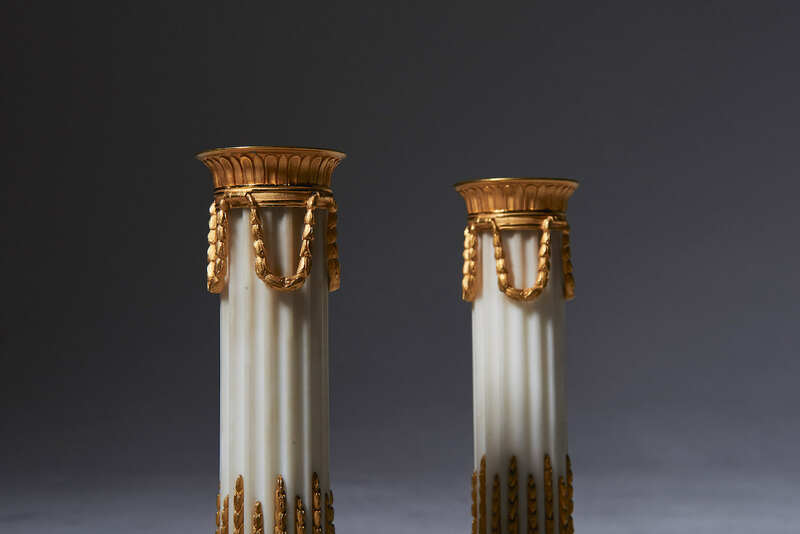 A very fine pair of Louis XVI candlesticks in ormolu and white marble. 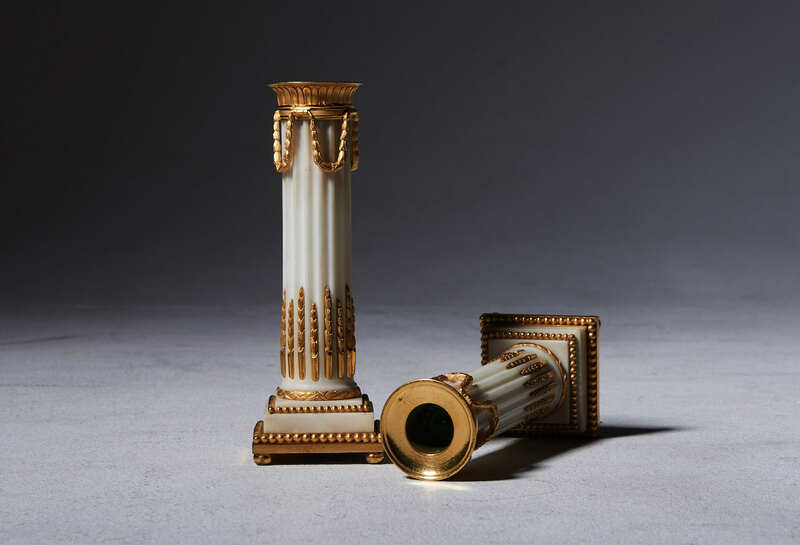 Each candlestick with a fluted shaft surmounted with garlands under a leaf decorated candleholder. 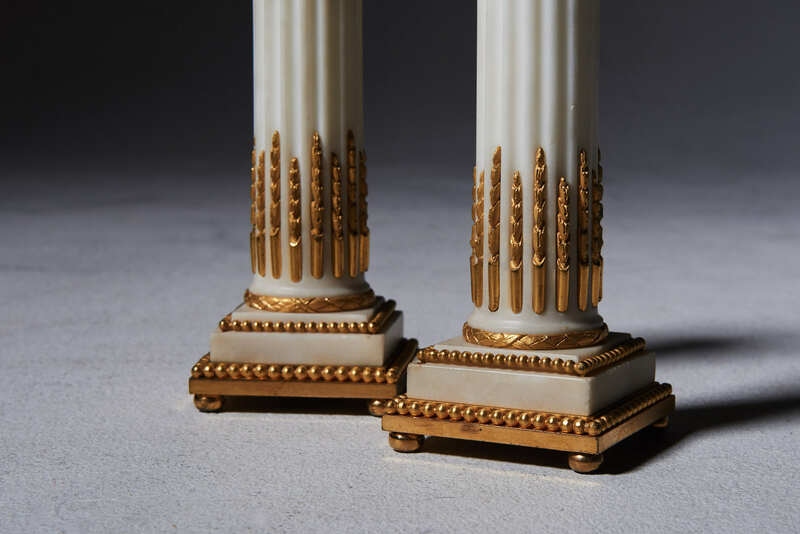 Standing on a square marble plint with decorations of oak.leafs and pearls resting on bun feet.